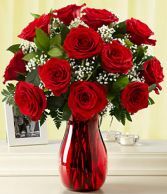 We use Premium Red long lasting roses. Someone made you smile? 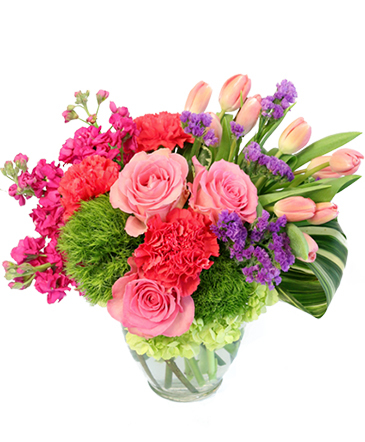 Send them a basket of flowers that will give them an ear-to-ear. 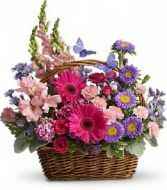 Yellow and white daisies, iris and solidaster arrive in a wicker basket.